Avatar Systems, Inc is the most popular oil & gas software solutions provider. Our featured solutions include Petroware, Integra, Avatar400, and Cloud Services. 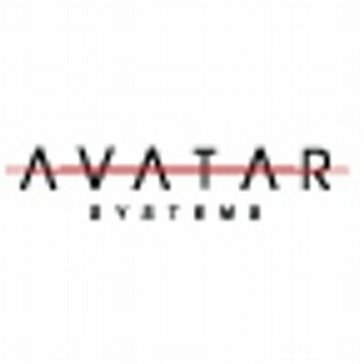 Work for Avatar Systems Ltd.? Learning about Avatar Systems Ltd.? What IBM Storage VARs solution do you use? Newegg is the largest online-only retailer of consumer electronics in the United States. Founded in 2001, Newegg has more than 25 million registered users and regularly earns industry-leading customer service ratings. Provides flexible, industry-specific software that is designed around the precise needs of our manufacturing, distribution, retail, and service industry customers. DMi provides the services you need such as managing all of your technology so that you can focus all of your attention on your business. Esri is the global market leader in GIS and has helped customers improve results since 1969. ArcGIS is the world's most powerful mapping and spatial analytics software. ArcGIS connects everyone, everywhere through a common visual language. It combines mapping and analytics to reveal deeper insight into data, helping organizations create positive change in industry and society. M2M DataSmart is a wholesale provider of CDMA-based cellular data airtime services for Machine-to-Machine (M2M) and Internet-of-Things (IoT) solutions. On April 16, 2018, DST Systems was acquired by SS&C Technologies. SS&C is a global provider of investment and financial software-enabled services and software for the global financial services industry. eZanga is an online marketing firm that helps companies grow their business through pay per click advertising and mitigating the affects of ad fraud with their SaaS ad fraud analytics solution, Anura.io. Ex-Cel Solutions is dedicated to helping small to medium-sized businesses (SMBs) achieve their long-term goals through the right application and management of information technology. * We monitor all Avatar Systems Ltd. reviews to prevent fraudulent reviews and keep review quality high. We do not post reviews by company employees or direct competitors. Validated reviews require the user to submit a screenshot of the product containing their user ID, in order to verify a user is an actual user of the product. Hi there! Are you looking to implement a solution like Avatar Systems Ltd.?